The title of this talk remains one of the most important and challenging questions in theoretical astrophysics. The explosive deaths of massive stars, core-collapse supernovae, are some of the most energetic events in the Universe; they herald the birth of neutron stars and black holes, are a major site for nucleosynthesis, influence galactic hydrodynamics, trigger further star formation, and are prodigious emitters of neutrinos and gravitational waves. Though these explosions play an important and multifaceted role in many cosmic phenomena, the details of the explosion mechanism have remained elusive for many decades. The fundamental challenge of core-collapse theory is to understand what makes the difference between a fizzled result and successful explosions. Ultimately, answering this question will require both theory and observational constraints. 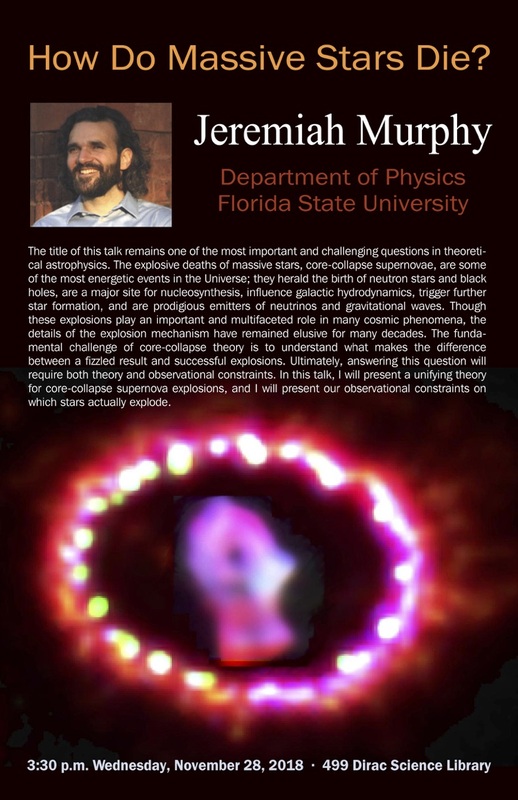 In this talk, I will present a unifying theory for core-collapse supernova explosions, and I will present our observational constraints on which stars actually explode.